INDEPENDENCE — Patricia Ann Junk, 81, of Independence, died Monday, April 15, at the Buchanan County Health Center in Independence. She was born Feb. 6, 1938, in Iowa City, daughter of Charles S. and Elizabeth I. (Carroll) Henderson. On May 11, 1957, she married Robert Junk in Waterloo. 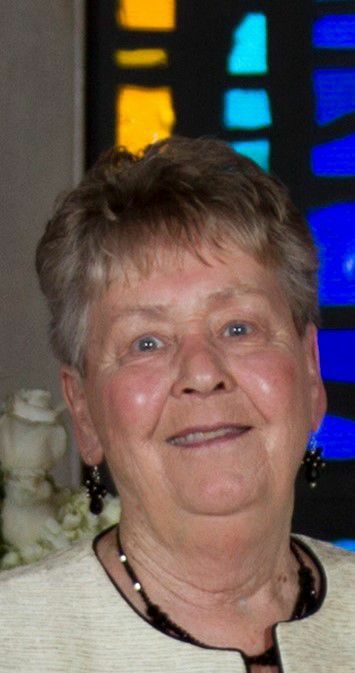 She was a 1956 graduate of St. Mary’s High School in Waterloo. She was employed with Members Mutual Oil Co., the American Soybean Association and with John Deere Co. prior to her retirement in 1991. Survived by: her husband of Independence; two sons, Joseph (Sandy) Junk of Independence and Michael (Carolyn) Junk of Hudson; four grandchildren; 13 great-grandchildren; and a sister, Mary Jo Kershisnik of Rock Springs, Wyo. Preceded in death by: her parents; a grandson, Justin Junk; a daughter-in-law, Jill Junk; and two brothers, Edward Monahan and James Henderson. Services: 10:30 a.m. Wednesday, April 17, at St. John’s Catholic Church, Independence, with burial in Mount Olivet Cemetery, Waterloo. Visitation will be from 4 to 8 p.m. Tuesday with a 4 p.m. rosary and a 7:30 p.m. parish vigil service and from 9 to 10 a.m. Wednesday, all at the Reiff Family Center in Independence. Memorials in lieu of flowers: may be directed to St. John’s Catholic School. Condolences may be left at www.reifffamilycenter.com.